SMT offers different C18 phases of varying carbon loads for optimal selectivity. 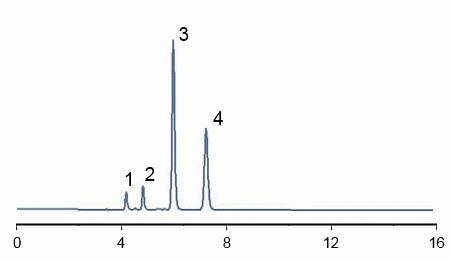 The SMT Elite-C18 HPLC Phase is moderately hydrophobic, has carbon load comparable to most other commercially available C18 phase columns and offers faster mass transfer than SAM-OD phase. The SMT Elite-C18 columns provide excellent peak symmetry, are highly versatile and offer very good selectivity for polar and moderately non-polar pharmaceuticals and bio-molecules, with high efficiency. 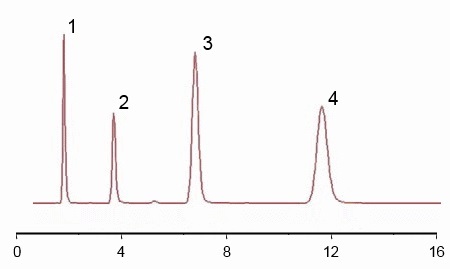 The EliteC18 series contains SMT SAM-C18 phases with the intermediate functional ligand coverage, confirmed with carbon analysis results of 16% carbon load. In the EliteC18 series, the density of the functional ligand, octadecyl molecule or C18, is moderated with the proprietary spacer molecule to ensure maximum coverage. The SMT SAM-C18 phases are designed to tolerate usage in very aggressive pH conditions and high temperatures. 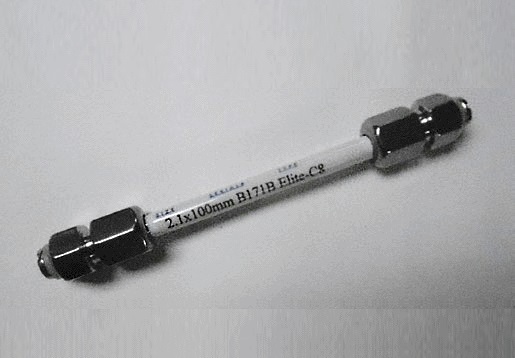 EliteC18 Columns are available in 5 and 10μm particle sizes and 100Å pore size, and 3.9 mm or 4.6 mm I.D. SMT offers packing materials for large-scale purification and Solid Phase Extraction (SPE) processes. Essentially all SMT analytical column packing materials are offered in large particle sizes at significantly reduced prices for process scale column packings and low pressure bulk purifications.